Janet Hubert pens an open letter to Wendy Williams shaming for years of mean-girl behavior. When certain celebrities die, there are time-honored traditions that I’ve come to expect — uncluttered magazine covers by the publications best aligned with the star’s work, online editorials from top-notch journalists summing up the celeb’s life, and countless interviews/commentary by anyone who was affiliated with the star. For Whitney Houston’s passing, there were a lot of people I expected to come forth — Ray J, Bobby Brown, and her onetime personal assistant Robyn Crawford among them. Who didn’t I expect to hear from? Talk show host Wendy Williams, or Janet Hubert a.k.a. the original “Aunt Viv” from The Fresh Prince of Bel-Air (who made headlines late last year by resurrecting an old beef with Will Smith). Yesterday Hubert, who had never met Houston, came to her defense in an open letter to Williams. “You said that morning with tears in your eyes, that you would not discuss Whitney any further, but you crucified her the whole time she was alive,” Hubert wrote in response to Williams’ February 13 guilt-riddled, on-air breakdown where she ugly-cried over Houston’s death and said she had hoped that she would connect with Houston in their later years. If you’re a longtime Wendy fan, you understand just how ludicrous that idea is. Back when Williams was “just” a New York radio DJ, she went in on Whitney in an infamous radio interview with her. Wendy, who had tormented Houston for years by gossiping about her sexuality, drug use, and marriage, used the worst parts of the interview as the intro to her radio show for years. True, Wendy Williams may have once been a bully, but to call her one now seems forced. Maybe my perspective is skewed because I don’t have examples to go by: I usually don’t have the TV on when Williams’ show airs, and the clips I do catch don’t strike me as rude. I also know what Williams is capable of from her radio days. TV Wendy is practically a cuddly house cat in comparison. Wendy’s come a long way, the way you’re supposed to as you mature or when you have corporate sponsors paying your bills. And she’s apologized, at least once, for her past behavior. When Whoopi Goldberg, another frequent Wendy target, visited the show in 2010, Williams apologized and cried like a child, adding that she “wasn’t proud of” all the things she’d said to get to where she is today. Maybe Hubert is a frequent watcher of The Wendy Williams Show and has seen things I haven’t. I actually hope so. Otherwise her letter would come off as a cheap way to raise her star off Houston’s death, much like Williams did off Houston’s life. 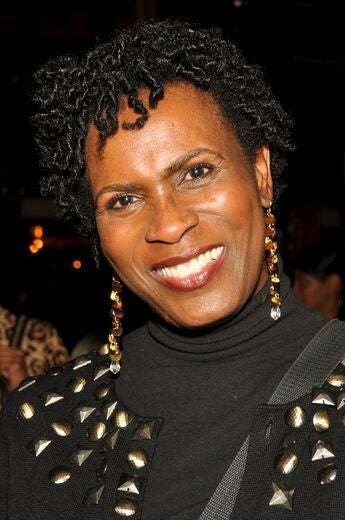 Do you think Janet Hubert has a valid concern about Wendy Williams?